We trust everyone made it through our Down-Under Winter and your Northern Hemisphere summer OK and the weather allowed for you all to get a ride or two under your belts. We are back in New Zealand now after a really enjoyable and challenge free European and American motorcycling season. 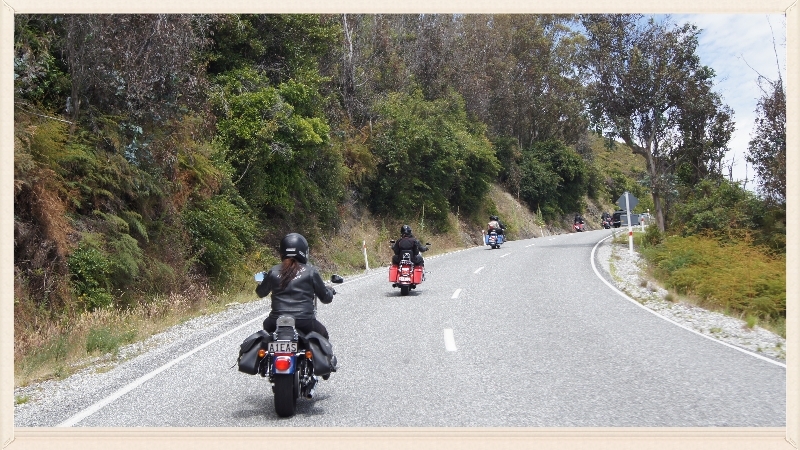 Summer is on the way Down-Under and our New Zealand riding season is just around the corner so time to uncover your ride of choice and think about the many and varied motorcycle rallies and events that are held throughout New Zealand in the next seven months, Euro or USA Folk could hop on down to NZ and join our Feb or March H-D tours. We believe this event would be a sight for all motorcyclists to see just how Harley riders really do enjoy a great laid back party weekend and it would be well worth a look-see regardless of the make of your current ride. Our South Island of New Zealand Harley-Davidson® Authorized Tours have created a great response from Harley-Davidson® riders from the Northern Hemisphere & Europe and we are delighted to be getting a good number of enquiries directly from the European H.O.G® article on BMCT just printed this August, many thanks to Matt for helping us spread the word on Harley-Davidson® touring at it's very best in the South Island of NZ which we believe equals that of any great H-D riding spots anywhere else in the world. 1st 2015 tour is our May/June Italian Tuscany “Con Comodo”(which translates to be a ‘leisurely tour’) all those wonderful places you have heard of all your life are able to be visited on this trip, Trento, Pisa, Florence, Siena, Maranello, Venice and much, much more, this tour incorporates two and three night stopovers for relaxed touring and sightseeing. 2nd 2015 tour is our popular June “Great Kiwi Alps Tour” taking in the best of the European Alps areas. 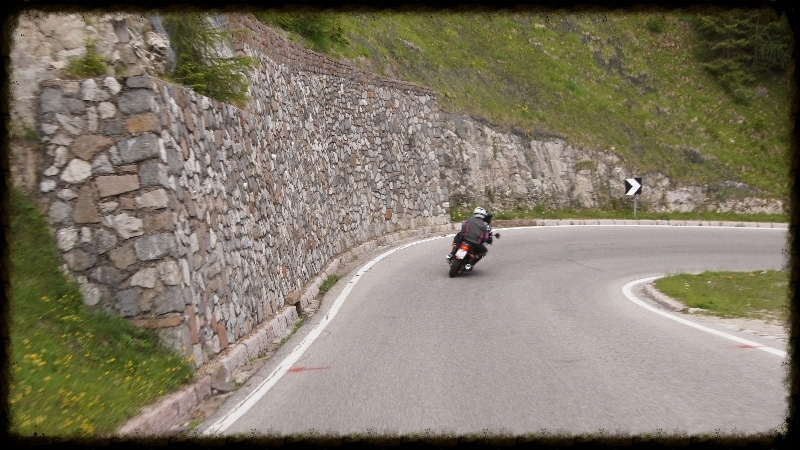 This tour has been and will always remain a proven favourite for those that really like to ride a motorcycle on some of the most beautiful mountain roads on the planet, with a huge amount of differing road choices on offer, this area has something for everyone on any motorcycle model. Please note! We are delighted that both these tours will have sufficient numbers too be able to run and we are once again looking forward to them. 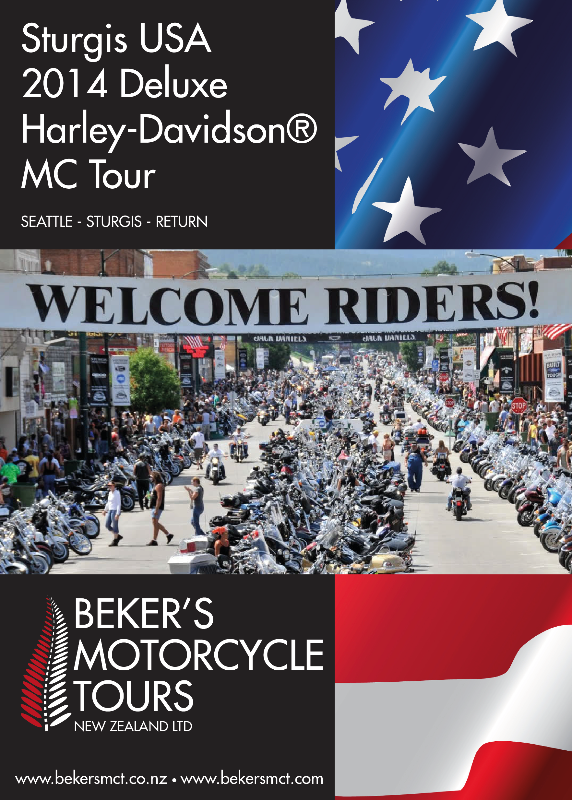 3rd 2015 tour is our USA/Sturgis month long Harley-Davidson® run, with the 75thAnniversary of Sturgis Bike Week next year there is huge pressure on accommodation and increased costs (Although our cost to you is the same as this year) however there is also the once in a lifetime opportunity to attend a major gathering of hundreds of thousands of motorcycles in one area (Sturgis 75th Bike Week Rally) this simply has to be experienced by oneself to fully understand what it is all about, all agree they are pleased that they experienced the famous Sturgis Rally at least once! After 2015 I would imagine the next biggy for Sturgis would be the 100th Anniversary and if you are confident that you will still be riding and able to make it there in 25 years time then no problem, no rush then at all! With this in mind we need any interested parties to contact us ASAP so we can ascertain possible tour numbers (we do require eight couples or more to run this tour) at this point we are hoping we can hold our prices at the same as we had advertised in October 2013: USD$7,875.00 per person, twin share, one bike (which is awesome value for such a high quality tour as some of our Hotels have increased their prices by up to 80% in the Montana, Wyoming & South Dakota areas) I must add this is normal practice when large events are held in the USA it is simply supply & demand in all the high use popular areas. 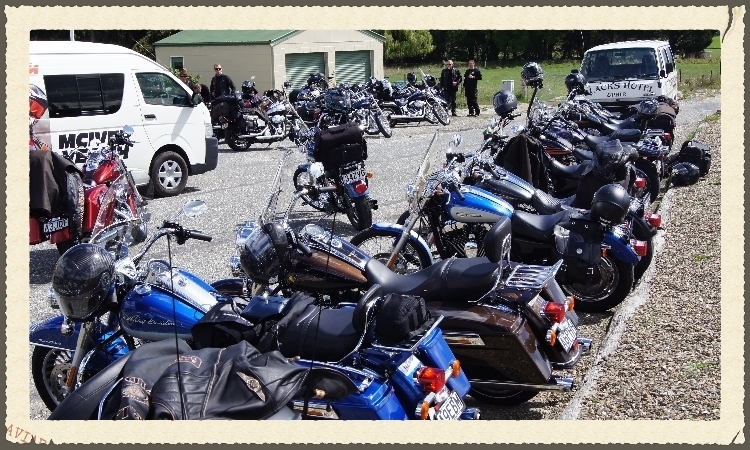 Our “Great Kiwi Alps Tour” and “French/Swiss Tours” were once again superb adventures with abundant amazing roads and unbeatable sights and vista’s, even though we encountered a few wet day’s at the end of our French/Swiss tour it did not stop our Euro riding fans from having a real blast! Once again, awesome people, perfect tours, great bikes. A big thanks to Andi and Holzleitner BMW & House of Flames Harley-Davidson® Munich. We stopped off in London on the way to Munich and visited the real eye opening modern Harley-Davidson® International HQ offices in Oxford UK, we had a wonderful day there absorbed in everything Harley and met the very helpful and friendly crew from the Harley-Davidson® Authorized Tours Program, what a perfect way to kick off our European adventures 2014.Thanasis Paparnkis from Odyssey Motorcycle Tours Greece (www.motorcycle-tours.gr) made a huge effort on a very long ride to catch up with us all in Arabba in the Dolomites in Northern Italy for a lovely evening dinner and an informative meeting regarding tour possibilities and suggestions for May/June 2016, I can’t remember how many countries he Zapped through but after a wine or two it seemed like at least half of all Europe. Donna and tour members rode South a few hours with Thanasis the next day and waved him off after lunch as he set Thessaloniki in to his GPS and with his typical huge smile kicked his trusty well travelled G.S.1200 in to gear and headed home to his family, always a thrill to hear of his motorcycle adventures and future tour suggestions. Whilst we are talking things Greek we would like to send a huge thanks to Stergios & Apostolos Papagatsios and all at Kyano Tavern (http://www.kyano.eu/ ) for the best ever food and for everything that they have done for us since we first met in Munich over 5 years ago now. USA and Sturgis was the next box to be ticked so we packed away the Euro bikes, handed back the H-D Ultra somewhat dirtier than I had picked it up, I ran out of time to clean it, or may be just a little to slack? The Sturgis Deluxe Tour (Over one month and ten States) out of Seattle was just simply blessed with incredible weather, we managed to dodge all the Washington fires we did get real close in Leavenworth W.A. with raging fires only six miles from our Hotel at one point, so we were told. We just missed all the consecutive days of rain in Sturgis/Deadwood, all gone and cleared up on the day we arrived so lucky again indeed. We then missed all the storms and flooding in Utah & Nevada, however we did see all the road damage as we rode many miles through some high passes and beautiful valleys, all in lovely fine calm weather. And unbelievably we also skirted the extreme high temps as well, with very comfortable temperatures mostly averaging in the high 70’s and low 90’s (25c-34c) for the whole tour! However we do know this was a fluke and this was constantly pointed out to us all from the locals who just shook their heads and confirmed we were a lucky bunch of Harley riders and to enjoy the great weather we had been given to the max! Thanks to all the American riders that joined and rode with us all throughout the tour, this was a huge delight and for us Kiwi’s a little insight into the local American Biker, we believe it is just a huge thrill to meet and ride with the ‘people of the land’ sometimes it happens that one can ride through a country and only just meet the hotel/cafe/restaurant and service station staff and they are not always natives of that country as such, not saying there is anything wrong with these folks at all, but to ride with Americans in USA, Germans in Germany, Swiss in Switzerland, Greeks in Greece and so on is such a real buzz! A special thanks to Brian & Val Bach whom were the backup crew and advisers on this tour. They set the bench mark for customer service very, very high and spoiled everyone something wicked, we have no idea on how they could improve their service, perhaps coffee’s of choice delivered to all tour members on request each morning on waking? Nahh, too hard with the various sweetener additions, maybe turning down everyone’s beds at night? That could do it, please note! If this is to be introduced a word of warning! Please lock all mascots, stuffed animals, bike cling-on’s and the like in your safe, else they will go missing for sure if Brian’s around, he just loved misplacing those little stuffed critters, I guess the back-up crews have to make their own fun when confined in four wheels all day long. We had the pleasure to join Dr Roy & Glenda Hammond from Learning Curves Motorcycle Dental Adventures on one of their “Smiles for Life” missions in The Dominican Republic for nine days at the completion of our USA Tour, we did our bit too help out Dr Roy and the other dentists, hygienists and camp setter-uppers. A very enlightening experience and one that has shown us in parts, real poverty as we have never seen before. All of the 60 strong group worked incredibly hard in hot humid conditions and in some very sparsely populated areas. International Tours and next year’s Tuscany May/June Tour is our 5th touring experience with them, we are so looking forward to it, they are a very well respected and well known C.E. H-D touring group. Enough now about our wonderful four month adventures, time to look at your own possible 2015 motorcycle adventures. Our South Island NZ Tours and next year’s International Tours are as above mentioned. Well folks that is enough bed time reading for now, any questions or information needed for any of our offered tours please contact us by email or phone anytime. Make sure you check our Facebook below to see all the latest pictures of our Tours in the Northern Hemisphere and our Humanitarian Adventure in the Dominican Republic. All the very best for now from Graham & Donna (Beker’s Motorcycle Tours NZ Ltd). 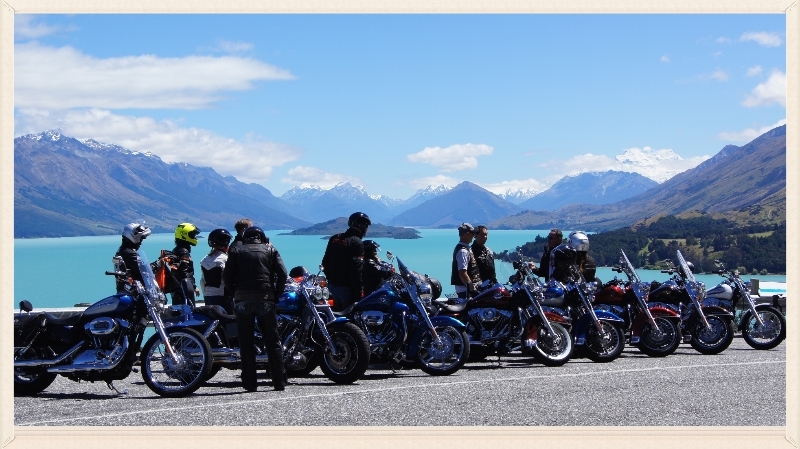 Copyright © 2014 Beker's Motorcycle Tours New Zealand Limited, All rights reserved. Great newsletter, thanks for posting it!